The Peoples Democratic Party (PDP) Friday urged former Vice President Atiku Abubakar to return home. The party however ruled out an automatic ticket for any party member, saying whoever is interested in contesting an elective office, including the former Vice President, must be prepared to submit to constitutional provisions. 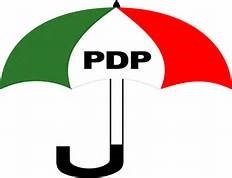 Speaking at a press conference at the party’s secretariat, National Publicity Secretary, Dayo Adeyeye noted that as a founding father of the PDP, the erstwhile number two citizen remains "a true PDP man to the core". “The PDP is a democratic party. If you come in, you are free to contest elections once you meet our constitutional requirements, but we can’t give our ticket to‎ anybody like that (automatic). ” The party, apparently basking in the euphoria of Atiku’s exit of the APC, also extended the olive branch to the ex- Vice President, urging him to return home (PDP). “The former Vice President, Atiku who was one of the founding fathers, contested and won elections as governor of Adamawa State on the platform of the PDP. “But before he was sworn in, he was nominated by Olusegun Obasanjo as his running mate and they were sworn in as President and Vice President. Again, they both ran in 2003. So, he is a true PDP man to the core. “However and unfortunately in 2013, they were deceived into believing that there was a platform that would correct all the ills in the PDP and that it could create an Eldorado in Nigeria. That platform ( APC) is the worst platform in the history of politics in Nigeria,” Adeyeye said. Advancing reasons for the defection of Atiku into the ruling party, Adeyeye said the Turakin Adamawa like many others who left the PDP, were deceived into believing the utopian world promised by ‘enemies’ of the PDP was real. “I believe people like Atiku were deceived because we had challenges in our party at that point in time. They went and join the new party called the APC which we have all now see, every Nigerian has seen, is a fallacy,” he stated, even as described the ruling party as the worst in the history of political parties in the land. “The day APC was born marked a tragedy for Nigeria. It has been a monumental disaster for Nigeria. There is nothing progressive in them . Everything about them is unprogressive. Everything about them is complete disaster,” he added. “I believe that Atiku has seen the truth and the truth has now set him free and we thank God for that. He is free to come back like every other Nigerian and we want to appeal to those who have not seen the truth and we are praying that they will soon see the truth , so that the truth will set them free. And as soon as they are free, let them come back.